Before the arrival of the Portuguese, the island of Timor was divided into some 60 small feudal-type kingdoms that had coalesced around two domineering liurais (local rulers). 16 kingdoms in the so-called Servião province were loyal to the liurai of Sonbai, while 46 kingdoms in the Belos province (corresponding to the territory of Timor-Leste and the kingdom of Atambua) acknowledged their allegiance to the liurai of Behale. Before we dig deeper into the history of this newly independent country, let's find a place to stay. 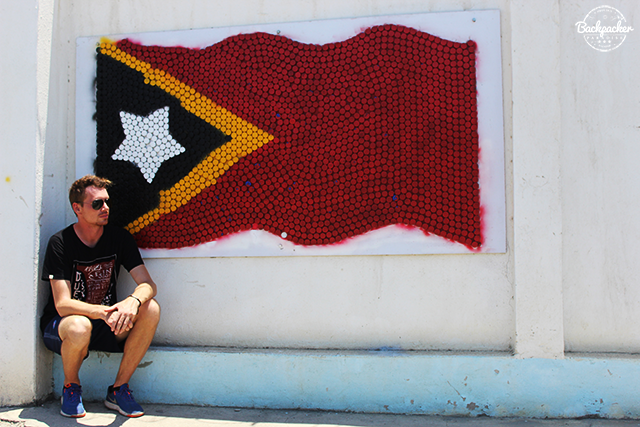 In central Dili you won't find many hostels, but there is this one place run by an Aussie. Dili Central Backpackers is the place for backpackers in the capital city of Timor-Leste. Welcoming staff, flexible day tours, great local knowledge and central location are just some of the great reasons to stay there. 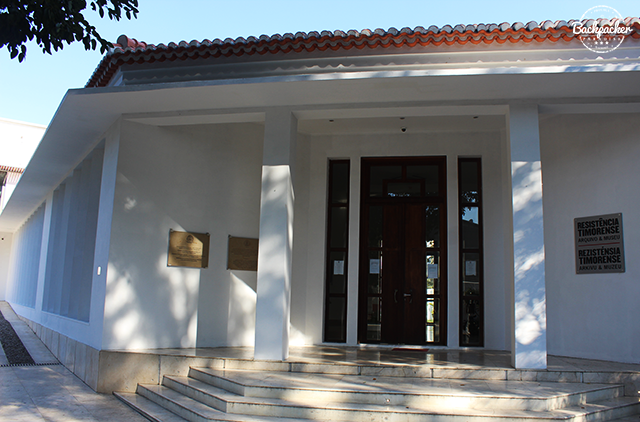 The Timorese Resistance Archive & Museum was established in 2005. Due to the very recent historic events of Timor-Leste, this was one of the more interesting war museums I've visited. The most important historic events are told in text, pictures, videos and exhibitions. A very moving museum to stroll through. Do not let the dull outside-look of the building fool you. 25th of April 1974. The military coup in Portugal opened up new perspectives in the colonies raising hopes and generating expectations of freedom for the people under the colonial yoke. In Timor, political parties were established and political options were announced. The Timorese political parties organized political meetings and rallies and they established and broke away from coalitions. But Lisbon was very far away and Jakarta was just around the corner. 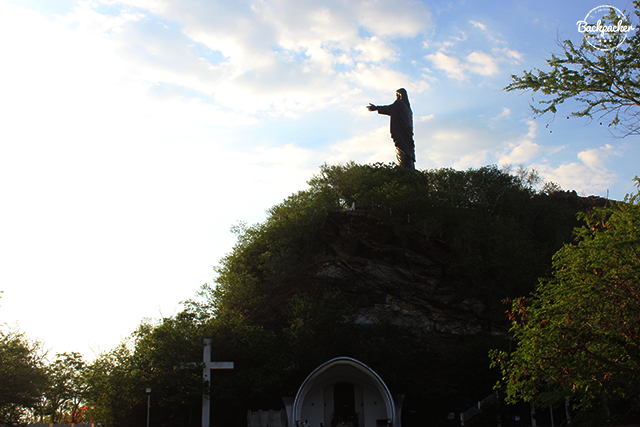 One of the landmarks left by the Portuguese is the Cristo Rei statue. 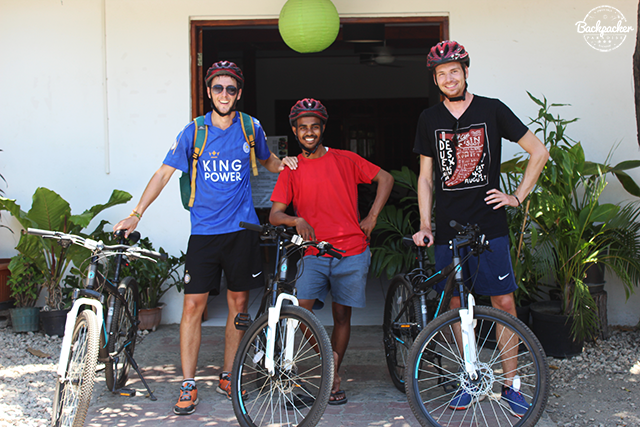 About half a days bike ride from the city centre of Dili. 7th of December 1975. Operation Seroja (Lotus), led by Brigadier-General Suwono, was the codename given to Indonesia's invasion of Timor-Leste. It involved thousands of troops from the various branches of the Indonesian armed forces and considerable air, naval and ground force capabilities. The invasion was preceded by clandestine operations along the border with Timor-Leste. Many fled to safety in the mountain hills. The people living in the mountains played an essential role in the resistance to the invading forces. The Indonesian forces performed "clean-up" operations and only in March 1979 they declared Timor-Leste "pacified". During those four years of Indonesian occupation, official Indonesian statistics shows that Timor-Leste lost more than 23% of its population. What the Indonesian didn't know was, that a small group of survivors led by Xanana Gusmão began a fastidious process of reorganizing the resistance. Many despicable massacres later a vote for independence was finally sought through in 1999. An overwhelming majority of 344,580 voters voted for independence while only 94,388 opted for the special autonomy status. There is a statue by the waterfront, Estatua da Juventude, illustrating two resistance fighters during one of the massacres. Both men survived and are well and living in Timor-Leste today. 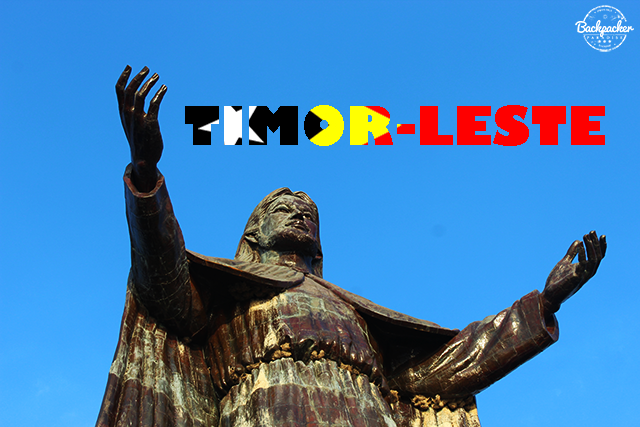 Officially Timor-Leste did not gain its independence as a country until 2002. Which makes it one of the youngest countries on the planet (the fourth youngest to be exact). Unfortunately the young Timor-Leste is experiencing some teenage-issue. 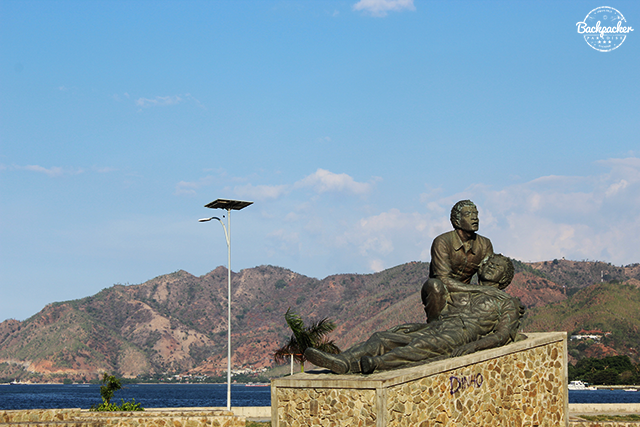 In central Dili hordes of young men stand around all day, doing nothing. They won't go to school, they won't work. This is made possible by the social-democratic ways of the Timorese people. Everybody gives something, whatever they can. 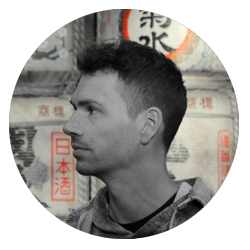 But the system breaks, when a lot of people choose to not contribute with anything. Luckily some of the young Timorese people are working hard to develop their community as a country. Just two years ago the first Burger King popped up in Dili, which is a definite sign of economical growth in the country. Some of the older generations of Timor-Leste, who still remembers the colonization-period, are working hard, and some of them even working the old traditional handicrafts. 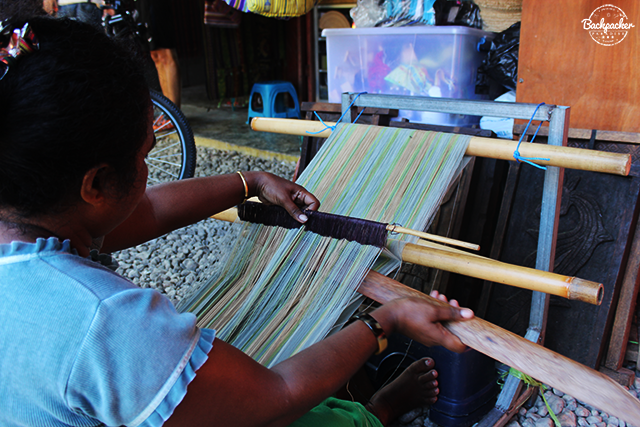 A place to experience the traditional ways of Timor is at Tais Market in Dili. Also a great place to grab a souvenir along the way as well. "Many years ago a small crocodile lived in a swamp in a far away place. He dreamed of becoming a big crocodile but, as food was scarce, he became weak and grew sadder and sadder. He left for the open sea, to find food and realise his dream, but the day became increasingly hot and he was still far from the seashore. The little crocodile - rapidly drying out and now in desperation - lay to die. A small boy took pity on the stranded crocodile and carried him to the sea. The crocodile, instantly revived, was grateful. "Little boy", he said, "you have saved my life. If I can ever help you in any way, please call me. I will be at your command..."
A few years later, the boy called the crocodile, who was now big and strong. "Brother Crocodile", he said, "I too have a dream. I want to see the world". "Climb on my back", said the crocodile, "and tell me, which way do you want to go?" "Follow the sun", said the boy. The crocodile set off for the east, and they traveled the oceans for years, until one day the crocodile said to the boy, "Brother, we have traveled for a long time. But now the time has come for me to die. In memory of your kindness, I will turn myself into a beautiful island, where you and your children can live until the sun sinks in the sea". 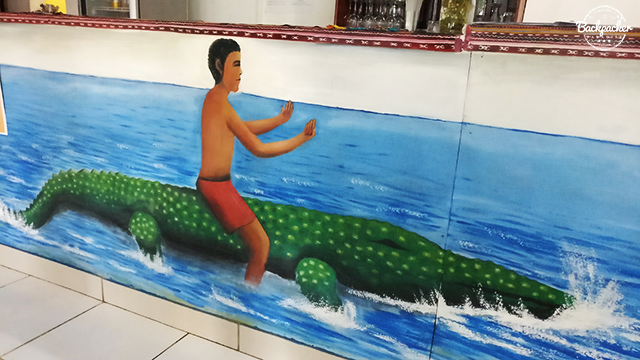 Now when the people of Timor-Leste swim in the ocean, they enter the water saying "Don't eat me crocodile, I am you relative". A cute fairy tale, no doubt. 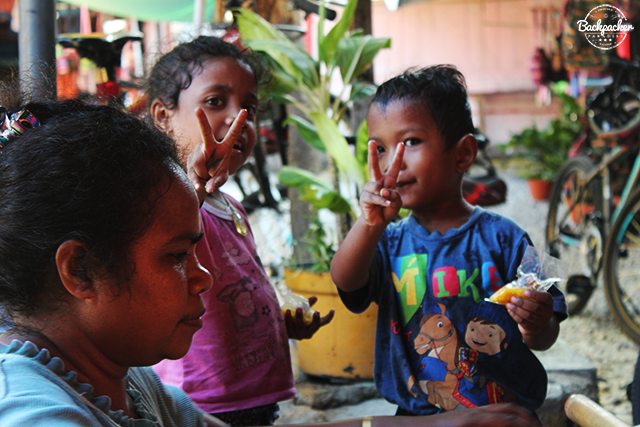 But a large part of the population in Timor-Leste however, is closely connected to their faith. So close, that they actually believe in crocodiles being relatives. 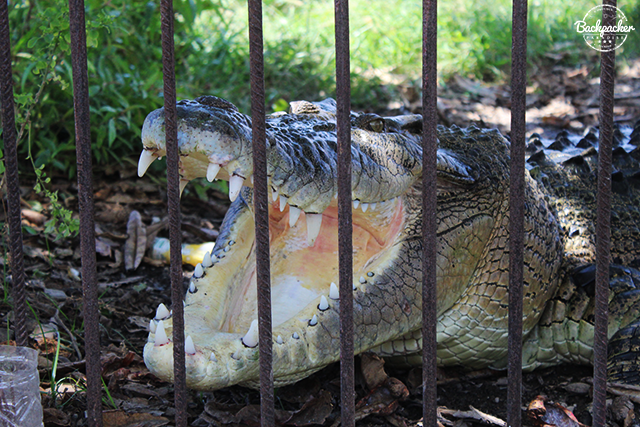 Some of the locals in the suburbs keep crocodiles as pets, even huge ones up to 6,5 metres! The government of Timor-Leste are planning to collect all the crocodiles, for the safety of the inhabitants. We went to visit the local police station in Dili, where they - at the moment - are keep three large crocs... The visit was quite surreal, as we went from cage to cage and fed the crocs with the frozen chicken we had bought on the way. Now there's something you don't see every day. Whatever happens to Timor-Leste once they begin to really settle as a nation, I hope their future includes safety and peace. They have fought for their right to remain a country and a people. And they have earned that right. I hope, that the generation growing up and the generations to come will be generations of harmony. Generations of peace.